Living with Hypothyroidism | Crank It! Not all types of hypothyroidism are a lifelong sentence! 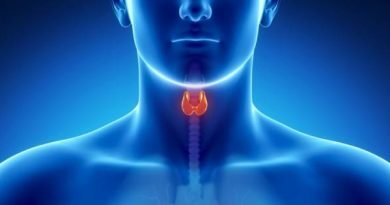 Some are temporary and will resolve themselves once whatever it was that caused the thyroid gland to reduce its production of thyroid hormone stops / heals / disappears. However, some types of hypothyroidism are permanent and for those diagnosed with these, living with hypothyroidism and controlling it will be a lifelong commitment. getting regular check ups to monitor their condition. If you have been diagnosed with a permanent type of hypothyroidism taking your medications daily will become a fact of life. You may be tempted to stop or cut back when symptoms disappear but they’ve only disappeared because you’re taking hormone replacements. As soon as you stop taking them your symptoms will return. Most people are prescribed synthetic hormones, either T4, T3 or a combination of both depending on their individual circumstances. However, there are also natural hormone replacements available which some people find work better for them. So if your current hormone replacement isn’t working, consider talking to your doctor about alternatives. Regular monitoring of your condition, both by keeping an eye on your health generally and getting regular checkups, will spot any changes quickly and allow your medications to be altered as required. If your hypothyroidism was caused by thyroid surgery or radiation treatment, it usually isn’t necessary to make too many changes to your diet. You’ll be on hormone replacement therapy and so long as you take it as directed, your body should function exactly as it would with a healthy thyroid. Along with making a few dietary changes, living a healthier life generally will improve the way you handle your disease. Mentally, emotionally and psychologically. Eating a healthy balanced diet, getting plenty of regular exercise, avoiding stress and getting enough sleep are important. As is setting up a routine that allows you to take your medications when you should, visit your doctor when you should and keep an eye on your symptoms as you should! Ultimately the quality of treatment and advice you receive from your doctor will make a huge difference to your quality of life. Mentally, emotionally, physically and spiritually. 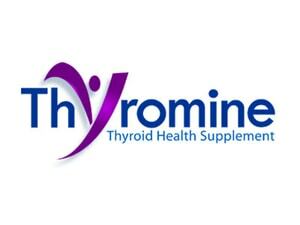 Treating hypothyroidism is not a one solution fits all type of disease. Every patient is different and their treatment should be planned and administered accordingly. Some people do fine on synthetic hormone replacement medications. Other people do better on natural hormone replacements. Therefore it’s important to find a doctor who is not only experienced with hypothyroidism but is also open-minded enough to consider, and try, other options. Hypothyroidism Risk Factors – Are You At Risk? August 18, 2015 Donna Morgan Comments Off on Hypothyroidism Risk Factors – Are You At Risk?